Appreciate your appearance the way it is, and don't waste money on things you don't need. Except bubble bath. Everybody needs bubble bath. -- shoobydala, Do we Really Need Toothpaste? Spring has arrived and together with it, the Festival of Neggs. Kari is organising her annual activities and you can be sure that her Negg Hunt will be as exciting as it was last year! But... are you prepared for the upcoming event? 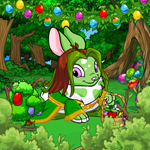 Did you dress your neopets up in their best outfit to celebrate Kari's efforts? If any smart customization idea hasn't occured to you yet and your closet seems to be full of Negg-related wearables difficult to be combined, then this article is for you! "Thank you so much for agreeing to take Meephog to the negg hunt!" A baby Moehog flew through the air, tracing a trajectory from the arms of its striped Xweetok mother into the ready paws of a smiling silver Kougra. "I couldn't do it myself this year. The last time we went, her siblings whined the entire time, and, well..."
The Festival Of Neggs Is Here! She knew no one wanted to adopt her, with her shaggy coat and trembling legs. She could not bear the fact that she was a lonely green Kacheek that no one wanted. "The diamond shard is heavily warded," the Seer hissed beside me. "You are the only one who can break the wards and enter."